This week, the Supreme Court of Canada will hear a case that could come to affect drug policy in the United States. At issue: Is the use of hard drugs necessarily a matter for federal criminal law? Or can cities and provinces (or states, if you prefer) handle it foremost as a health issue — in accordance with science that finds the approach protects the lives and safety of drug users? The question has been playing out since 2003 in British Columbia, just steps from some of the toniest areas in one of the world&apos;s most expensive cities. In Vancouver&apos;s Downtown Eastside, the poorest urban neighborhood in Canada, governments and nonprofits have met the tide of poverty, disease and addiction in innovative ways. Pigeon Park Savings provides banking services to the impoverished, for instance, and the Downtown Eastside Women&apos;s Centre advocates for the young, the old, the distressed and the mentally ill. Most famously, Insite, the first supervised drug-injection facility in North America, welcomes hundreds of people every day who come in, cook up heroin, cocaine or pills and inject themselves under the watch of medical professionals. Users have access to clean needles and other paraphernalia, as well as access to health and social services. To date, no one has fatally overdosed at the site. 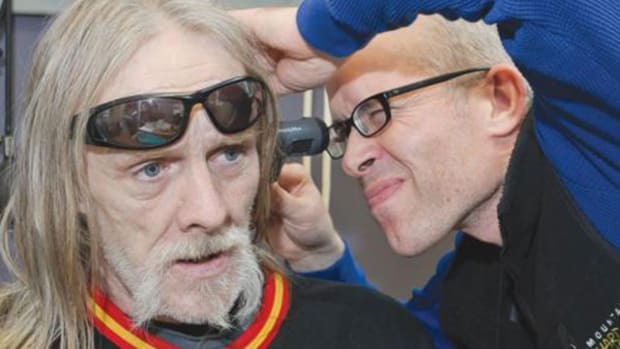 Insite operates, at a cost of about $3 million annually, under the auspices of the public Vancouver Coastal Health and the Portland Hotel Society — a nonprofit that seeks chiefly to house the poor — with funding from the British Columbia Ministry of Health. On a typical day, it sees 850 visits. "I think it&apos;s a very successful project," said Provincial Health Officer Dr. Perry Kendall, the top public health official in British Columbia. "I think we need more of them." But on May 12, the Supreme Court of Canada will hear arguments from the top legal and health officers in Canada against Insite&apos;s supporters. When the Conservative-led federal government started threatening to revoke the narcotics exemption that the previous Liberal-led government had granted, the Portland Hotel Society and a group of Vancouver drug users sued, claiming that Insite&apos;s medical mandate made it a matter for the province, not the federal government, to regulate. 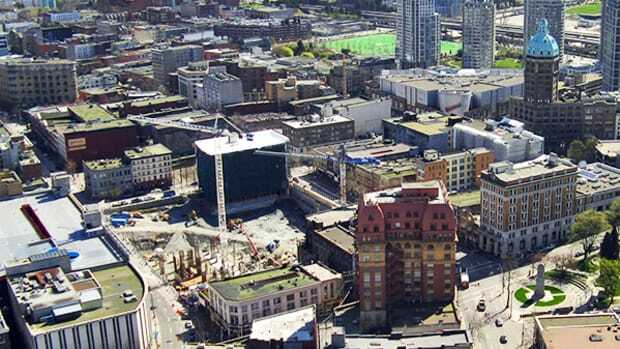 The Supreme Court of British Columbia ruled that Insite could operate without an exemption. The federal government appealed, and lost again. The date with the Supreme Court of Canada is the government&apos;s final chance to argue that Insite&apos;s existence should be considered criminal, not medical, and that Ottawa, not the health authorities in British Columbia and Vancouver, ought to have say on whether it remains open. "You&apos;ve got to give the Conservatives one thing: They&apos;re politically astute," said Russ Maynard, the program coordinator at Insite. "And it does seem there&apos;s a lot of local support for the project in B.C. I assume that if the court case goes well, that will be that for us. Now, fights in other cities could be another thing." Whichever the outcome, the repercussions are bound to be felt in American policy circles, according to Allan Clear, the executive director of the Harm Reduction Coalition, which advocates for a public-health approach to drug users. If Insite wins, he said, it will continue to operate and serve, if only gradually, as an example of a successful alternative to a war on drugs approach to intravenous drug use — a case study not in Amsterdam or London, but 35 miles from the U.S. border. And if Insite fails, Clear predicted it will immediately become the counterargument to adopting harm-reduction practices. "I always take the long-term view, in a sense," he said. "I hope the court case comes out in favor of Insite because, at some point down the line, it does make a difference." At present, Clear said, the United States has no real chance of touching harm-reduction strategies, at least before the next presidential election. As evidence he pointed to a Wikileaks cable released in late April that outlined American efforts in 2009 to oppose the inclusion of harm-reduction language in action plans from the U.N. General Assembly Special Session on the World Drug Problem. As Insite&apos;s case is an appeal, the Supreme Court of Canada won&apos;t be able to consider new facts, Kendall said. That means disregarding the most recent studies on Insite&apos;s effects: a Lancet article that found overdose deaths near Insite fell 35 percent during a two-year period, compared with 9 percent elsewhere in Vancouver; and that new incidents of HIV and Hepatitis C among intravenous drug users in the Downtown Eastside is declining, in part, provincial health officials found, because of Insite. The roster of interveners for the case is extensive. Parties expected to present in support of Insite include the attorney general of Quebec, the Vancouver Coastal Health Authority, the Canadian Nurses Association and the Canadian Medial Association. At a news conference at which the British Columbia Nurses&apos; Union voiced its intention to vouch for Insite before the high court, Tim Gauthier, a registered nurse and Insite&apos;s clinical coordinator, told the press: "People are still going to be using drugs whether Insite&apos;s there or not, they&apos;re just going to be using behind Dumpsters, in the alleys and in their hotel rooms ... and that equals dead people." The case comes on the heels of a bad week for Insite&apos;s near-term prospects, since the May 2 federal election re-affirmed and expanded the representation of the ruling Conservative Party government, led by Prime Minister Stephen Harper. Eight days later, Vancouver&apos;s sitting mayor, Gregor Robertson, and five past mayors published an open letter to the Harper government asking it "to reconsider its legal efforts to close this vital health service." Liberal Party leader Michael Ignatieff talked on the campaign trail of replicating Insite if his party took power. "This is about science and medicine," he told an Ontario audience. "This is about harm reduction, and so we strongly support Insite. And as it proves its worth and as other provincial health systems adopt the valuable lessons learned at Insite, we would support its expansion, yes." Insite was hardly a major campaign issue — as in the United States, the economy was the top topic, and Canada has fared comparatively well through the current recession. Harper&apos;s Conservatives rolled, adding enough seats in the House of Commons to earn an outright majority. The Liberals, meanwhile, ceded seats both to the Conservatives and to the left-leaning New Democratic Party. So total was his defeat that Ignatieff declared his political life finished and retreated to academia. Unless the Conservatives govern more centrally, having crushed their traditional centrist opposition, federally sanctioned Insite clones aren&apos;t likely in the next five years. What&apos;s next, then, really is up to the court.